Shares of Tata Motors have moved nearly 5% higher to Rs 372 per share, extending their 9% surge on BSE in the past three days, after Jaguar Land Rover (JLR) India reported a strong 83% rise in FY18 sales. 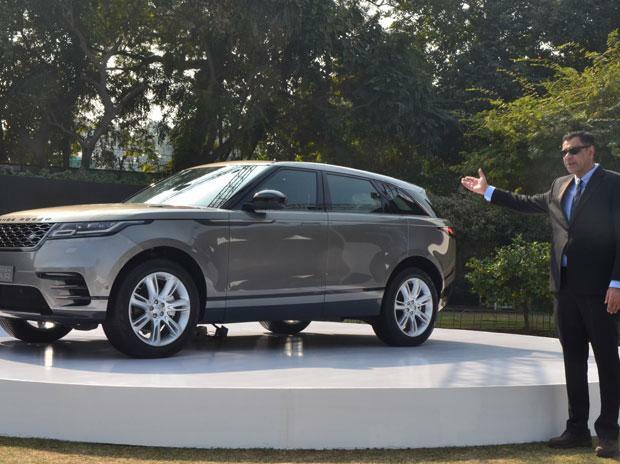 Tata Motors-owned JLR on Tuesday said it plans to bring 10 new products in India in 2018-19 (FY19), riding high on 83% jump in sales in the last fiscal. Meanwhile, in March 2018, Tata Motors registered a growth of 35% at 69,440 units as against 51,309 units over last year due to the continued strong sales performance of its commercial and passenger vehicles business in the domestic market. The cumulative domestic sales performance of the commercial and passenger vehicles business for FY18 was 586,639 units compared to 478,362 units, a growth of 23%, over FY17, Tata Motors said in a press release. Tata Motors’ commercial vehicles domestic sales in March 2018 were at 49,174 units, an increase of 37% compared to 35,876 units in March 2017. This growth was on the back of government’s push towards infrastructure development, restriction on overloading, road construction and mining activities along with increasing demand from e-commerce & FMCG applications, it added. Analysts at JP Morgan have ‘overweight’ rating on the stock with 12 month target price of Rs 460 per share. “We could see some tailwinds driving earnings performance through FY19: India business had returned to profitability, operating leverage to drive margin expansion. JLR’s model cycle should remain exciting given launch pipeline; both product and country mix are positive. The profitability improvement at the China JV (CJLR) on higher utilization and FX moves should help earnings as the hedge book progressively rolls off,” the brokerage firm said in recent report.